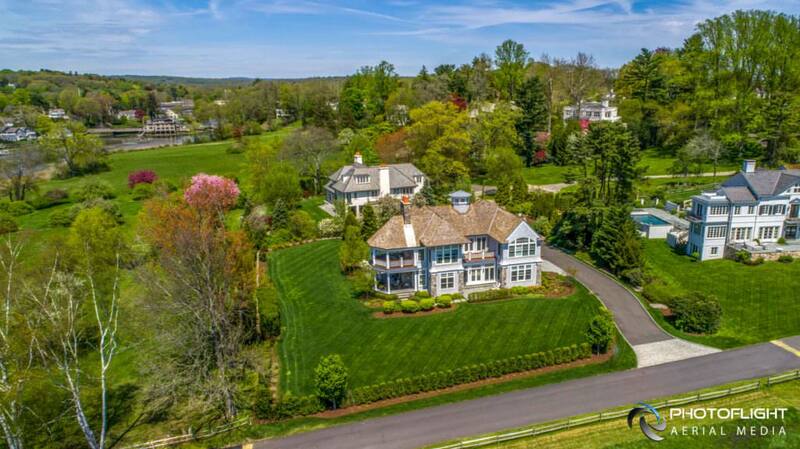 PhotoFlight Aerial Media Team has been proudly offering professional grade, legally compliant drone photography and video services to our partners in Real Estate industry since 2013, and we are honored to be the drone camera operator of choice for many major Real Estate Brokerages in New York, Connecticut, Massachusetts, Long Island, New Jersey, and Throughout New England. Our clients rely on our experience and expertise to deliver superior marketing content and take full advantage of the location marketing potential that the drone tech has to offer. Real Estate Spotlight Drone Video by PhotoFlight Aerial Media – Market what’s most important! Just about any real estate agent would agree that the three most important things a property should have are: location, location, location. That phrase has been in use at least since 1926, according to The New York Times and is just as relevant now as it was then. Drones have proven to be an incredibly powerful tool to sell just that-the location! In hands of a professional and experienced drone photographer, drones can maximize the agent’s return on their marketing investment by helping them market what really matters. The difference that our team provides to our partners is in our ability to professionally capture not only the property, but also plan the shoot to capture the location, nearby amenities, views, and all other features actually important and attractive to the potential buyer. Our by far most popular product is a drone video spotlight (example above). The spotlight video is 60 seconds or less, and purely focused on the location and the most important details of the property. The shots are carefully assembled to provide the viewer with a great idea of the property layout and proximity to nearby amenities, and its short duration makes it perfect for social media marketing. Very much like a TV commercial, it’s designed to get the interest of the viewers in learning more about the property. Our clients who embraced the use of this powerful tool have seen significant increases in traffic to their marketing channels, positively affecting their online visibility, image, and also the ability to successfully market their services to potential sellers. When deciding how to best allocate your real estate marketing budget, trust experienced professional providers with maximizing your return on investment. We always encourage our potential clients and partners to review our portfolio or real world real estate marketing projects and compare it to any of our competitor’s work, and hope they join the many real estate brokerages that already believe that we provide the best combination of quality and value in our market. For more information about our professional drone and production services for Real Estate clients, please, visit the Real Estate Marketing section of our website.